Hey! It wasn't MY fault. It was the major cross wind that flipped you over. Ben didn't mention that the reason he didn't test fly, besides the fast diminishing light, was that it was very windy. The water doesn't look too bad in the shots because it was an off-shore breeze. Sorry about the speed control, but the model looks fantastic. The front shot looks amazing! Yes, Ben. The model looks awesome! Your plane looks great! Nice photo. Ouch for the ESC. 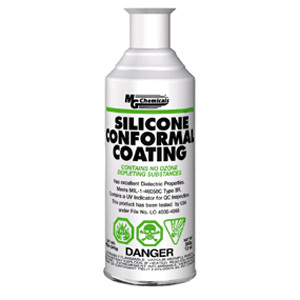 I'd suggest you get some "silicon conformal coating" for the next ESC. I coated my Hacker 40 with this stuff last season after having it's predecessor shoot flames 3" high after a brief splashdown. If I knew how to post pictures I'd show you the bottle (and the burn marks). It's less than $10 and it works . . . I know because I dunked my Cub on Saturday and once I got the water out of the wing I was back flying no problems at all. ps I'll bring my bottle to Kingston in case you or others need some before the float fun. It only needs 30 minutes to cure. Ken, are you talking about this stuff? Do you have to cut the label and shrink wrapping off the ESC before application? It sounds like just what the doctor ordered. I was planning on mounting the ESC near the trailing edge of the bottom wing where it doesn't get wet when upside down--but that would mean seriously long motor leads which might be a no no. Ken, was your first, fried ESC a Jeti? Was your second, non-fried one a Castle? Looks like the same stuff except mine is either "paint it on" or dip the esc in. You do want to peel off the shrink wrap so you can get into all the nooks and crannies. I do two coats leing the first one dry before going over it a second time. I like to tag the power wires with some ID so I can tell what the power limit is for later on as I don't bother to re-wrap the ESC after coating but some people do. Rob, Both are/were Hacker/Jeti 40's with BEC not opto. I know Castle does make a waterproof ESC but I've never tried one. Ben, great to see your beautiful work. Looking forward to see it. Sorry to hear your burned ESC. You've mentioned "black-tar", that sounds like an explosion of an electolitic capacitor. These caps are design to explode (via the top trio-cut line) on failure, keeping the circuit open. You can verify this by looking at the top of the 2 caps on the right-side in your photo. There is a small chance the the ESC is still in good order. You may replace the caps and see if it work. Good luck. Ben or Ken, where did you purchase the conformal coating? Outstanding! I am looking forward to seeing it at Kingston. Sorry to hear about the speed controller. E-mail Jeti, They stand by there products. By the way, I don't think it was the controllers fault, more like the ugly 'Pikers Curse"! Hey! Who you callin' ugly? Almost any electronics supply store would have the silicon conformal coating. I choose the silicon version because it could withstand a higher temp rating. It also seems to keep a little flexibility when it's dry as well. Another good product is called "Corrosion X". It comes in a narrow can and you can get this at Pinnacle Hobbies or A&J's as well as Radio Control Hobbies on #7 Hwy. It costs around $10. This stuff is what I inject in my receivers to coat the PC board. It is designed to stop corrosion and keep electronics from shorting out even when wet. They used to run a demo of a TV that had been coated in this material, fully operational in the bottom of a pool! Some people open up their servo cases and coat the board and motor with the X.
I've not tried the corrosion X as the only protection for an ESC but I do give my ESC a small squirt of this stuff as a "just in case" after a dunking. Looks really good Ben. I'm not so happy about the foam construction of my Macchi but the (balsa) Curtis looks terrific.